For 46 years, visiting Munich was synonymous with defeat for Real Madrid, but since 2012, it’s Bayern who have suffered nightmares every time they’ve had to face Los Blancos. Real managed a third consecutive victory at the Allianz Arena on Wednesday, and the sixth in succession against the German side. Los Blancos haven’t lost in the Bavarian capital for six years and on the last two occasions they’ve knocked out Bayern Munich, they’ve ended up winning the title. In the 2013/14 season both teams met in the semifinals and Real annihilated their hosts, a team then trained by Pep Guardiola, 4-0. 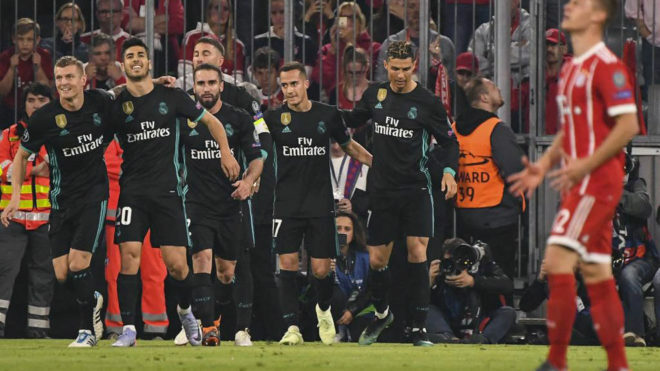 Last season, the duel was repeated in the quarterfinals and the result obtained by Zinedine Zidane’s team was the same as this year, a 2-1 win. From 1966 until 2012 Real Madrid lost 10 of the 11 matches played in Munich, and managed to draw the other in 2003/04. With the win achieved this Wednesday, Real surpasses Bayern in victories between the sides. They have played each other on 25 occasions, all of them in the Champions League. Real Madrid now have 12 wins, 2 draws and 11 losses.